Cinnamon Desktop has shot upto prominence recently after it was being used an alternative as well as a replacement for the new Gnome 3 Desktop environment. Frankly speaking, I was not very comfortable with the Gnome 3 interface too and was looking for ways to downgrade to Gnome 2. Thats when I stumbled on the Cinnamon Desktop and have been using it ever since. However, there are still some shortcomings of the Cinnamon Desktop and some things are still not doable very easily. For instance, we do not have an option to change the bottom panel font-sizes easily. 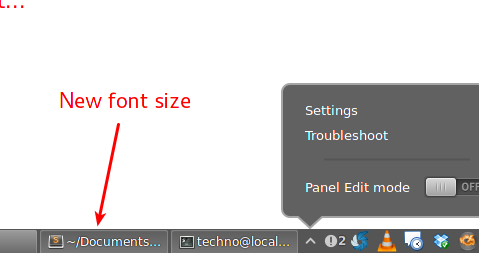 The default font size for the bottom panel text in Cinnamon desktop is quite large. 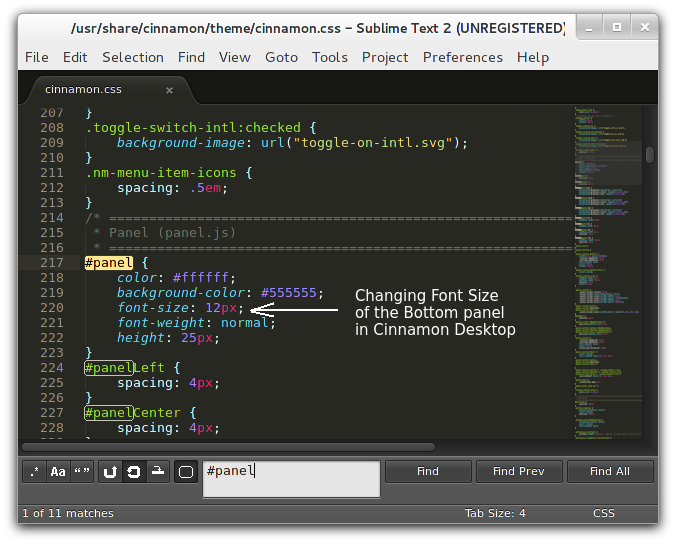 What we will do is use a small trick to change a couple of values in the Cinnamon Desktop theme stylesheet. Step 2: Now scroll down to around line number 217 where you will find the css definitions for #panel. In side this block all you need to do is change the fint size as per your convenience. I used a font-size of 12px and you can see the result above.